Then Jesus told his disciples, “If anyone would come after me, let him deny himself and take up his cross and follow me. For whoever would save his life will lose it, but whoever loses his life for my sake will find it. For what will it profit a man if he gains the whole world and forfeits his soul? Or what shall a man give in return for his soul? I admit, I was deliberately vague about what exactly it means to “deny yourself, take up your cross, and follow Jesus.” Instead, last time we considered that this is indeed the call of Jesus, and in general it contradicts the values of the world around us. We also considered that the cross can bring us unexpected joy. So this time I want to dwell on what, more specifically, is the call of the cross? 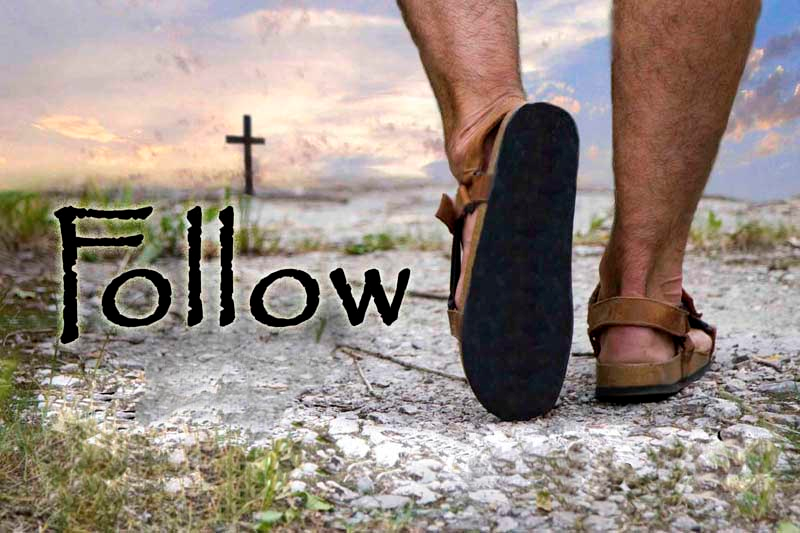 What does it mean to follow Jesus by taking up our cross? Before we do that, once again I want to thank you for listening, and remind you that we deeply appreciate your prayers for this ministry. I believe in the power of prayer, and I’m grateful for you asking our Father in heaven to use this ministry, to bless it, and to supply all our needs. I don’t want you think I’m requesting prayer as a covert way of asking for money. We really do value your prayers most of all. It is possible, of course, that as you pray, Lord leads you to give us some financial support. Obviously, if he does, please go ahead and do that. But if he doesn’t want you to give to us, that is absolutely fine. We don’t want you to feel bad about it. We want you to follow Jesus in this matter. But please do continue to pray for us, regardless. Now, back to the text. Let me start by clarifying what it does not mean. It is not ordinary human suffering. You may have heard the expression: “That’s just my own cross to bear.” That saying is almost always used wrongly, at least in the sense of what Jesus meant here. For instance, suppose someone with arthritis says, “This arthritis is my cross to bear.” That is not at all the kind of thing Jesus is talking about here. How do I know that Jesus didn’t mean things like arthritis? To put it bluntly, arthritis is painful and difficult, but is not a consequence of following Jesus. Jesus clearly tells us here that the cross is all about following him. Not everyone has arthritis, but most people suffer in some way. This is true of people who follow Jesus and true of those who do not. Obviously, not all suffering is a consequence of being his disciple. Also it is important to realize Jesus doesn’t call us to have arthritis – sometimes things like that just happen because we live in a fallen world. On the other hand, the cross is always about Jesus. So what does the call of the cross involve? First, death to self. Jesus says we must deny ourselves and not seek to save our own lives, but lose our lives for his sake. This is not a call to suicide. But it is a call to make Jesus even more important than everything, including (perhaps especially) yourself. Ordinary flesh rebels at this thought. I mean, let’s be honest. For most us, the default “most important thing” is ourselves. What could possibly motivate us to be willing to put the needs of someone else above our own? What could possibly induce us to be willing to even die for someone else? A few remarkable individuals might die for another for the sake of duty or honor. But I think for most of us the answer to those questions is: love. We can put the needs of another above our own needs as an act of love. We can die for another, say a spouse or child, motivated by love. I think we need to understand the call of Jesus in this light. I think for most of us, the only way to do this is to love Jesus more than anything else. To sum up this point: the cross means that I love Jesus so much that I am truly willing to give up anything for his sake. This isn’t about feeling guilty when we fail to do so, but we need to live with an ongoing recognition that the focal point of the universe is Jesus, not ourselves, and not anyone else. Another aspect of “taking up your cross” is that it means accepting shame and rejection and even sometimes persecution. It involves following in the footsteps of Jesus, who was (and is still) rejected and scorned by many people. This is part of the cross we take up to follow Jesus – that the people around will not understand, and in many cases will even hate us. I think sometimes it surprises us that Christians are considered by many to be hateful and bigoted. But if people slandered Jesus, why should we be surprised when we are slandered today? For me, it has been a perplexing thing to have others who call themselves Christians speaking mockingly and hatefully about those of us who seem to be serious about following Jesus and believing the bible. However, it may be helpful for us to remember that those who first persecuted Jesus and his followers were religious people who claimed to be of the same faith as Jesus and the disciples. Saul (who later became Paul, the apostle) viciously persecuted the followers of Jesus in the name of God. I think today, more than ever for the past 500 years, we have a large number of people who are willing to call themselves Christian, but who also willfully ignore what the Bible teaches. It isn’t right, and it isn’t fair, but it is part of the cross of Jesus to be misunderstood, criticized, and ostracized even by others who claim to follow the same God. The cross of Christ means, among other things, that we will be considered foolish, dangerous, evil and offensive. This is happening more and more even in historically Christian-friendly societies. However, we in the West have not even begun to suffer when you consider how Christians are persecuted in other places around the world. Many countries have laws limiting the expression of Christian faith. Others include laws that make Christians “second class citizens.” From North Africa, east to Indonesia and north to China, there are Christians being imprisoned, physically assaulted and even killed for following Jesus. As far as I know, since Jesus was crucified and for two-thousand years since, at least some of his followers have been persecuted in at least some places in the world. Jesus said to expect it. This part of what it means to take up our crosses. Not everything about taking up the cross is hard and negative. One thing that it means is that we are dead to sin. That should be positive and encouraging for us. Taking up our cross means that we recognize that in regard to sin, our flesh is as good as dead. The old sinner, Tom, has been killed with Jesus on the cross. I need to remember this, and trust that it is true, every day. I’m dead to sin. Sin has no relationship with a dead body, and sin has no relationship to me. Now, I am not claiming that I never commit sins, but the disease of sin has been killed in me, though some symptoms might linger. In the eyes of God, the sin problem is over. And so every day I need to take up my cross, and trust again that I am dead to sin, and live accordingly. I think it is important to understand that what many churches market as “Christianity” is really woefully lacking compared to what Jesus actually calls us to. Being a Christian is so much more than merely subscribing to a certain set of truths – though those truths are important. Instead, it is about selling out completely for Jesus Christ – loving Him with heart, mind, soul and strength, and dying to ourselves, dying to sin and being willing to undergo anything for His sake. Discipleship is not limited to what you can comprehend – it must transcend all comprehension. Plunge into the deep waters beyond your own comprehension, and I will help you to comprehend even as I do… You cannot find it yourself, so you must let me lead you as though you were blind men. Wherefore it is not you, no man, no living creature, but I myself, who instruct you by my Word and Spirit in the way you should go. Now, I realize that all of this might sound a little bit “heavy.” But remember what we talked about last time: when we accept the cross we enter a life of joy. It is not the pleasure or comfort that the world seeks, but it is true joy. When we give up on ourselves, and accept the will of Jesus for our lives, we find a peace and grace and the joy that cannot be found any other way. Dietrich Bonhoeffer wrote about this in his excellent book, The Cost of Discipleship. But Bonhoeffer did not just write about it, he lived it. Ultimately, he gave his life for the sake of Jesus; he was executed in Nazi Germany because his Christian faith was a threat to Hitler’s regime. When he speaks of the cross, and the cost of discipleship, he has authority, because he lived it. So, I think we can trust him when he shares about the strange joy that comes through accepting the cross of Jesus. But Jesus invites all who travail and are heavy laden to throw off their own yoke and take his yoke upon them – and his yoke is easy, and his burden is light. The yoke and the burden of Christ are his cross. To go one’s way under the sign of the cross is not misery and desperation, but peace and refreshment for the soul, it is the highest joy. Then we do not walk under our self-made laws and burdens, but under the yoke of him who knows us and walks under the yoke with us. Under his yoke we are certain of his nearness and communion. It is he whom the disciple finds as he lifts up his cross.